In business since 1993, we have repair thousands of block foundation walls. 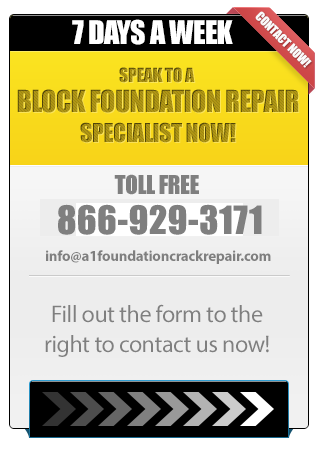 A-1 Foundation Crack Repair Inc. uses multiple methods to repair both structural and non-structural foundation wall cracks and bowing block walls. Ranging from closed-cell polymer resins, epoxies, weaved carbon fiber blankets, and crystallized quartz-based materials. Specializing in stone and fieldstone foundation waterproofing throughout Boston and the New England area. Unmatched knowledge and skills for all masonry and waterproofing projects.